Downloading the Roofer Theme | Click here if your download does not start automatically. Live Demo Download (431) Free vs Paid? 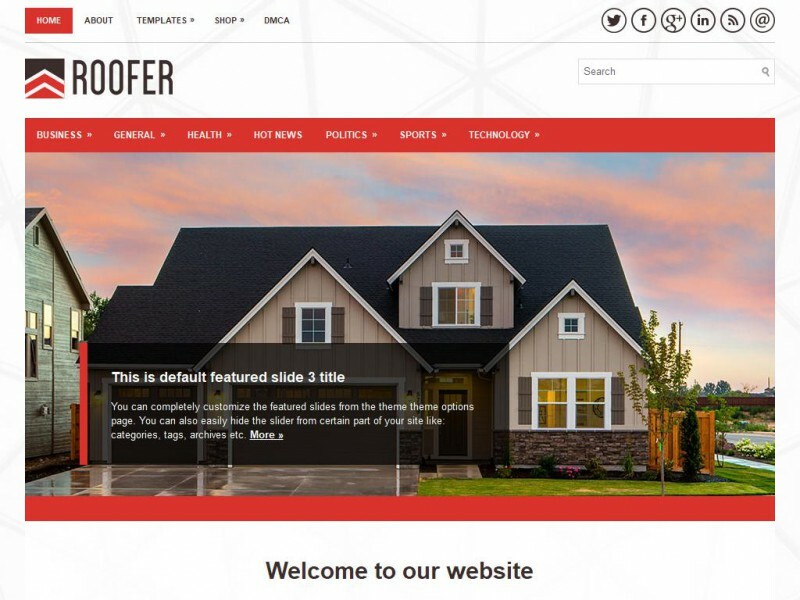 Roofer is a stunning roofing, construction, handyman, or even realty WordPress theme. It will make your business stand our professionally. It’s responsive, which means it is easily usable with any device (Desktop, tablet, or mobile phone =) without removing any content! The theme has a beautiful slider, drop-down menus, and is packed with custom widgets. Plus, it comes with many themes options to make it easy to customize without knowing code. The background image can be easily removed or changed if you want. So what are you waiting for? Get started with Roofer today and take your business to the next level!